The efforts of a few individuals are resulting in relief shipments for the Syrian people with the logistical support of Zakat Foundation of America (ZF) donors and field representatives. In September Laurie Jaghlit of Washington, DC, started a winter collection called Share the Warmth to benefit internally displaced Syrians. 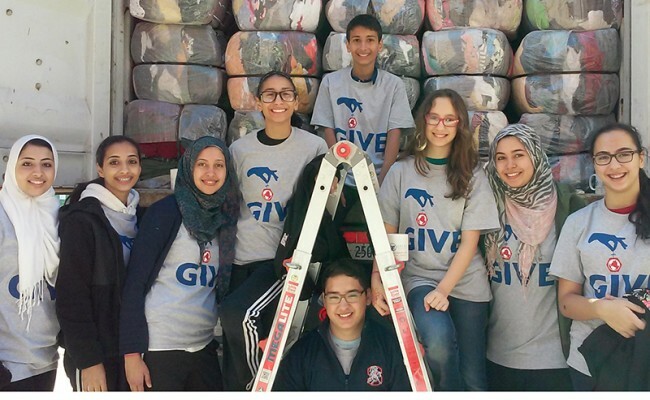 Ms. Jaghlit coordinated with local schools and mosques in northern Virginia to collect new winter outerwear, and monetary donations that were used to buy additional coats, gloves, scarves and hats. A local Islamic school group held bake sales to support the project, and a Girl Scout troop volunteered long hours packing everything into a 20 foot container that ZF paid to ship. In total the project collected more than 500 children’s coats, 500 adult coats, more than 300 blankets, more than a thousand smaller pieces including sock pairs, mittens, wool hats and sweaters. In addition the shipment included baby clothes and blankets, school supplies, jeans and pajamas, bath and beach towels, and a few toys. Ms. Jaghlit, whose husband is Syrian, said she was moved to start the collection because she feels the needs of Syrians have been largely forgotten, even inside Syria. She said the project, a collaborative effort of Muslims and non-Muslims, gave the community a feeling that it could help Syria. Another person dedicated to doing his part, Yahya Houssni, donated 21,000 pounds of used men’s, women’s and children’s clothing to ZF in October to deliver wherever it is most needed. Given the urgent and chronic needs for all kinds of aid in Syria, ZF sent the shipment there. These individual acts of service and generosity, undertaken by ordinary people who just want to help, make a difference to brothers and sisters in Syria who are living with tremendous hardship. No certificate or permission is needed, just the desire to help and the faith to take action. How can you take action today? Inauguration of Kenyan Mosque Brings Community TogetherWhy is Charity So Important in Islam?